Christine started working for Rosebery as a 16-year-old as a junior typist. She grew up in Rosebery in the 1950’s with her parents and siblings. Christine met her husband, Peter Winskill, at the mine. Peter is a fifth-generation miner and their son Mathew currently works there as a Simba Operator. 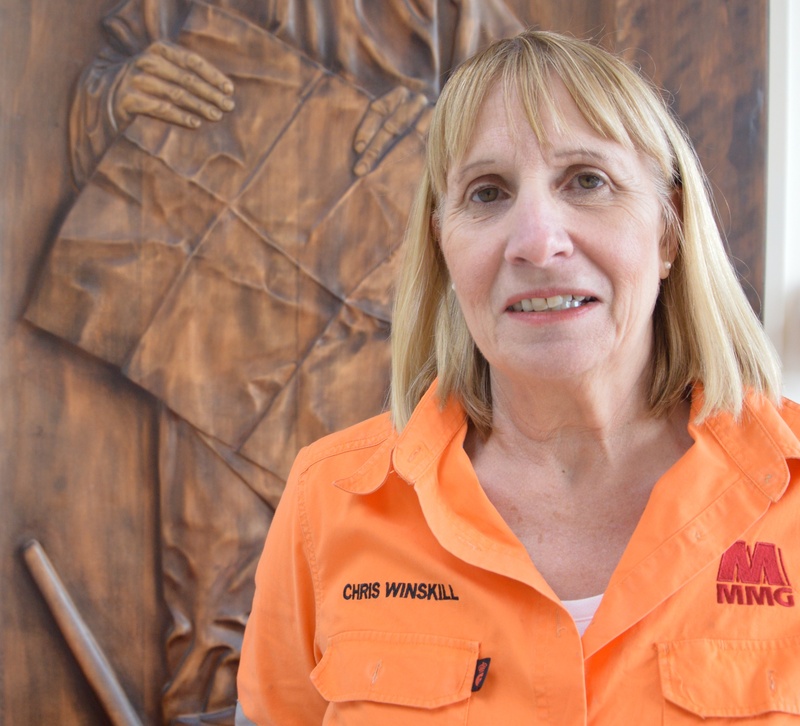 Christine has a wealth of knowledge about the Rosebery area and the mining industry having worked at the mine for 38 years, and her current position as MMG Rosebery’s Senior Community Stakeholder Advisor provides an ideal opportunity to share her knowledge and wisdom. “My job involves interacting with the local and wider community, like the North West coast, and working on projects within the community, as well as managing partnerships and sponsorships,” Christine said. Her long list of community involvements include being a member of the Tullah Progress Association, Secretary of the Tullah Community Hall Committee, a member of the Rosebery Development Association, Board member of the Rosebery Neighbourhood House and member of the Health West Community Advisory Committee. Christine was recently awarded the Rosebery Lions Club Citizen of the Year 2014 for her work in the community.